As previously stated, this site [www.busterandfriends.com/stet] exists as an archive of Lab activities between November 2007 and April 2011: you can listen to the recordings, and read the reports. If you are an improviser looking for performance opportunities in and around Cork, please contact the former curator Han-earl Park who may be able to help. 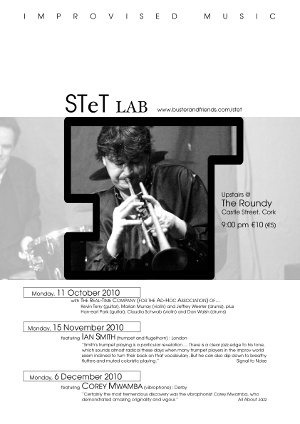 Between November 2007 and April 2012, Stet Lab successfully brought together improvising musicians with varied experiences and from far afield. Over forty Stet Lab events featured more than eighty performers including twenty-four visiting artists. Cork’s monthly improvised music event, Stet Lab was a space in which improvisers (novice, veteran; student, teacher; part- or full-time; amateur, professional; local or visitor) could meet, play and learn from one another. (doors: 8:45pm) Performance by Jin Sangtae (electronics) with Han-earl Park (guitar) and Jeffrey Weeter (drums). (doors: 8:45pm) Stet Lab featuring Steve Davis (drums). 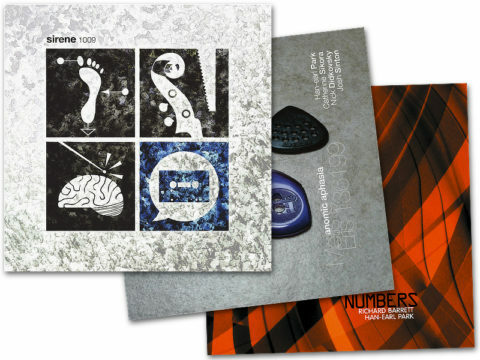 (doors: 8:45pm) First Stet Lab of 2011 featuring Murray Campbell (violin) John Godfrey (guitar). London SE14, England TBC Performance by Mathilde 253 (Charles Hayward (drums, percussion and melodica), Han-earl Park (guitar) and Ian Smith (trumpet and flugelhorn)) with special guest TBC.